I wrote the term on the whiteboard, and underlined it to add emphasis. “Interface design for learning could possibly be the difference between being a successful online trainer and not”, I explained. 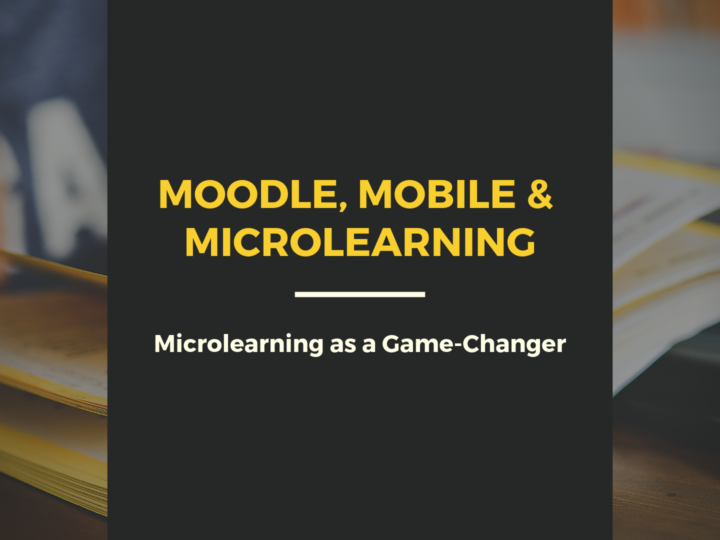 About 5 months ago, I hosted a session internally on learner-centric design; a part of my research on the shortcomings of the Moodle interface. Online trainers come up with great content. I do not doubt their potential. I’m sure you’ve got an information goldmine for your learners. But what most fail to do – is present this content well. Their lack of presentation results in poor user experience and hampers the overall learning process. Interface design for learning involves creating a conducive learning environment. The central idea is that the interface (consisting of the LMS platform, content structure, multimedia content, overall styling) should act as a learning catalyst. Let’s consider learning a course to be the equivalent of eating a bowl of cereal. The course content is the cereal and milk, and the interface at hand is the bowl and spoon. With the said tools, your experience should be smooth. You won’t face a problem. But, substitute the spoon with a fork, and you’ll find yourself struggling. You’re probably familiar with this concept. Instructional design involves creating experiences which make the learning process efficient, effective and interesting. The focus is on structuring the content. It all begins with logically dividing your course content. Smaller chunks are easier for students to consume. Case in point, ‘Cake Baking Classes’. You’d have better luck with students by dividing baking basics and cake decoration techniques into different lessons. We are conditioned to learn this way. An overload of information would drive students away. Does not mean you have to stop at dividing content. 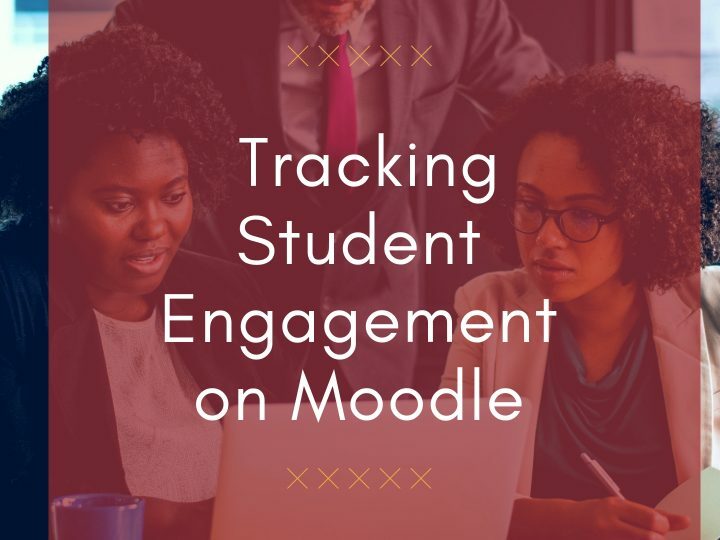 There are several instructional design techniques to increase student engagement. Dorian Peters – user experience designer and online strategist – puts this well. Graphics play an important role in conveying information quickly. Researchers have found color visuals to increase the willingness to read by 80% (source: Neomam). Make use of photographs, illustrations, icons, infographics, diagrams, charts or videos to complement text or audio content. Remember, focus on adding relevant (not decorative) graphics to facilitate the learning process. Graphics must support the content and not overshadow it. Learners are able to pick up new concepts when a related example is provided. Think back to the ‘Cereal Bowl’ analogy. 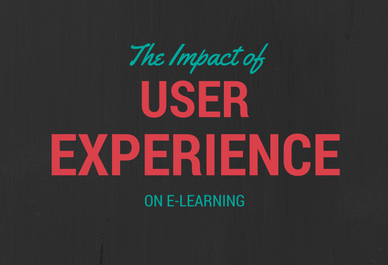 Did it not help you understand the importance of UX in learning? Understand that all visuals are not equal. The effectiveness of a video when teaching physical techniques such as baking a cake or learning a dance might be greater than using a series of still images to explain the same. On the other hand, flowcharts or images might work better when explaining concepts such as osmosis or a computer program. Minimalistic images work well too. For example, illustrations or line drawings work better when explaining the concept of rainfall rather than actual photographs. Feedback is important to help students gauge their performance. A simple ‘correct’ or ‘incorrect’ response might work for quiz questions, but adding helper text and positive encouragement increases learning involvement. While an instructional designer structures the content to best engage learners, the learning interface should adequately support the process with settings and content spaces. There are several discussions on the importance and impact of instructional design on the student experience. But rarely are learning management system interfaces brought into the picture. Learning Management Systems form the basis of your online training websites. Their interface should assist the teaching and learning process. I used to focus on the functionality of an LMS, rather than its interface. Moodle is packed with a great deal of functionality. But as the problems in Moodle interface surfaced, I knew Moodle lacked in this vital area – ‘ease of use‘. As LMS administrators we fail to take into account the LMS experience. Students come to your website to learn a skill or concept; you do not want them learning how to use the system. The system should reduce a student’s learning effort. 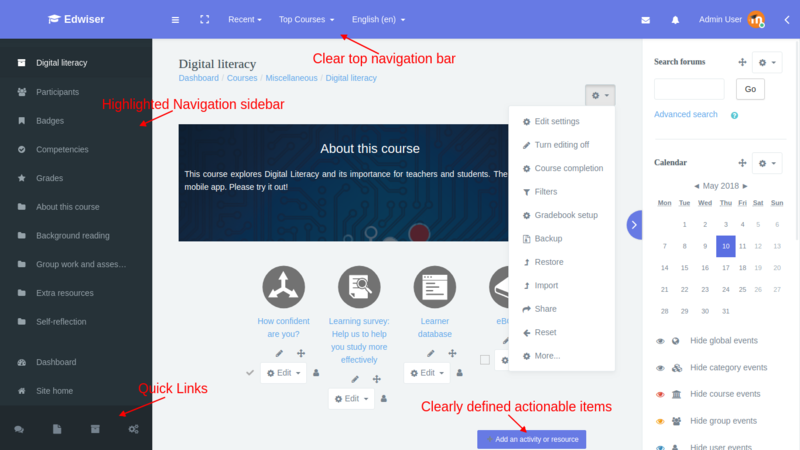 The navigation, discussion forums, actionable items (buttons, links) should be clearly highlighted on your LMS. Make use of color for this purpose. Make it easy for students to spot an available button on the page, instead of making them hunt for it. Consistency reduces the learning curve. For example, if a link is of a certain color on one page, it should be the same across all pages. Make sure that headings, actionable items, have a uniform look and feel. You cannot expect a student to concentrate on reading a lesson if there is a flashing ad on his screen. But this is probably an extreme case. Focus on simpler things too. For example, a simple feature like collapsible sidebars can make for distraction-free reading. Navigation is a challenge on Moodle. It’s cumbersome and heavy. The possibility to navigate quickly can reduce user effort and improve the experience. 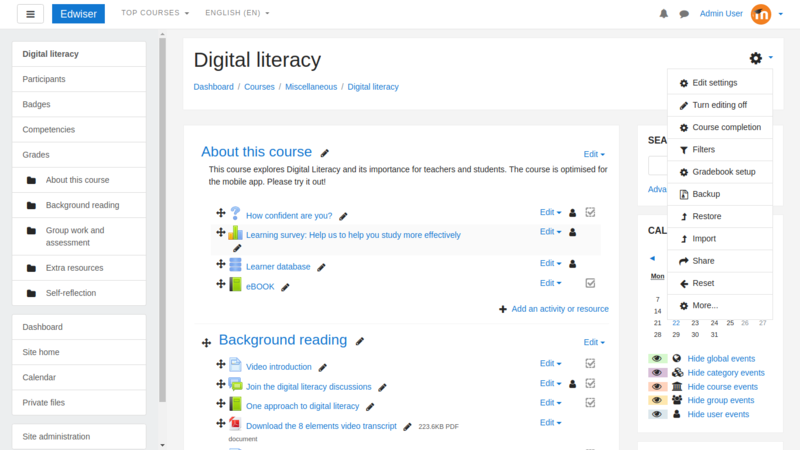 (Simplifying Moodle navigation was a challenge we took up when designing the Edwiser RemUI theme). Communication channels definitely affect learner experience. An option to interact with teachers or discuss with peers can significantly enhance their experience. Educational and psychological research has shown us that learning interfaces affect student experience and help them regulate their own learning. The bottom line is to think beyond usability. Look to make it as easy as possible for your students to follow the content and learn in the most efficient and effective manner.